If you are a Cyprus based accountant with a website wanting to rank on the first page of search engine results, then you are at the right place. Read below for a brief overview of how we can help your Cyprus based accountancy firm grow and expand and contact us for more details on the wonders to be had by accountant specific SEO for Cyprus based firms. In today’s modern era, where the use of the internet and online searches dominates the way people transact in their everyday lives, the practice of SEO for any business that has a website is a dire need. Within this framework, SEO is also very important for accountants and accountancy and audit advisory firms that want to make their website highly visible to as many potential new customers as possible. By implementing SEO and achieving high rankings on the results pages of the major search engines for accountancy related searches in its area, an accountancy firm is expected to see significant increase in its business. In Cyprus, the accounting profession and its related specializations are highly competitive. The Institute of Certified Public Accountants of Cyprus (ICPAC) currently has more than 3,500 individual members, meaning that an abundance of qualified professionals have to compete for the custom of local residents and the accounting needs of the many companies resident on the island. 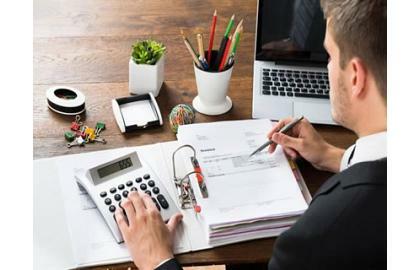 Prospective accounting services clients are on the lookout for trustworthy and reliable firms or individual professionals to whom to assign the handling of their business or personal financial affairs. Therefore, to attract their attention and earn their trust, accounting agencies and professionals need to enlist the help of an expert SEO agency to help them properly and effective promote their accounting websites online. Ranking at the top of results’ pages of search engines for accounting related searches in their area, allows an accounting firm to enhance its status and prestige before the eyes of prospective clients. Moreover, interested clients who see an accounting firm rank high are more likely to be willing to trust it, because high rankings are perceived as proof that a company is an established authority in its field. At Netresot we have tons of experience and expertise in making websites appear at the top of the search engines both globally and at the local level in the Cyprus market. Thus, we have the aptitude to help make your Cyprus based accountancy website appear on the front page of the search results and, through our dedicated SEO packages for accountants, make your business thrive effectively and at a low cost. Contact us today to find out more and let your business prospects prosper in no time. Stay Ahead Of Your Competition. Improve your presence online and bolster your site's performance.